Worship is the great act of the people of God. Worships draws us into the work of Christ. What joy is ours to worship and to enable our children to learn of God's love as they enjoy church school, including nursery. Our church school curriculum is 'ShareFaith'. Our worship hour honours the traditional roots of the Presbyterian Church in Canada while embracing non-traditional forms of music and communication through digital means. In worship, Trinity is blessed to have both a choir and a band. 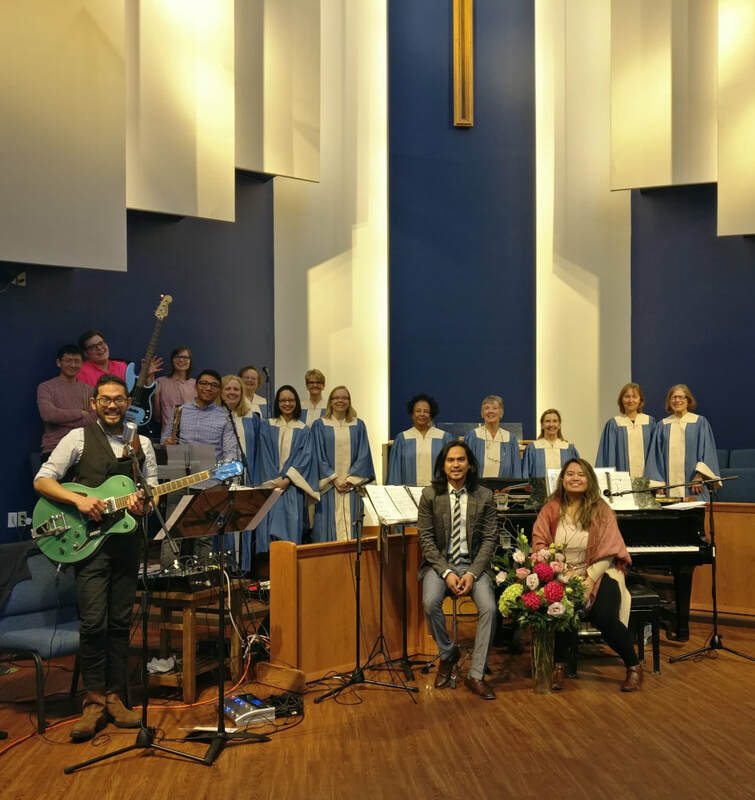 The choir is most often in leadership and the ‘Trinity House Band’ is presently in leadership on the fourth Sunday of every month, and on various other occasions too. Acoustic instrumentation for the band includes guitar, piano, violin, cajon and more. ​The band welcomes those with ability and developing interest in singing, keyboards, guitars, percussion and sound systems/technology. Please feel free to contact michael@mytrinity.ca and melvin@mytrinity.ca. The Sacrament of Holy Communion is celebrated the first Sunday of every other month, starting February, excluding July and August. ​It is also celebrated on Christmas Eve and Maundy (Commandment) Thursday.